My Running Journey So Far | JustRunLah! I am still a slow runner. My best Half Marathon timing is 02:49 but I am sure I am going to do better next time! 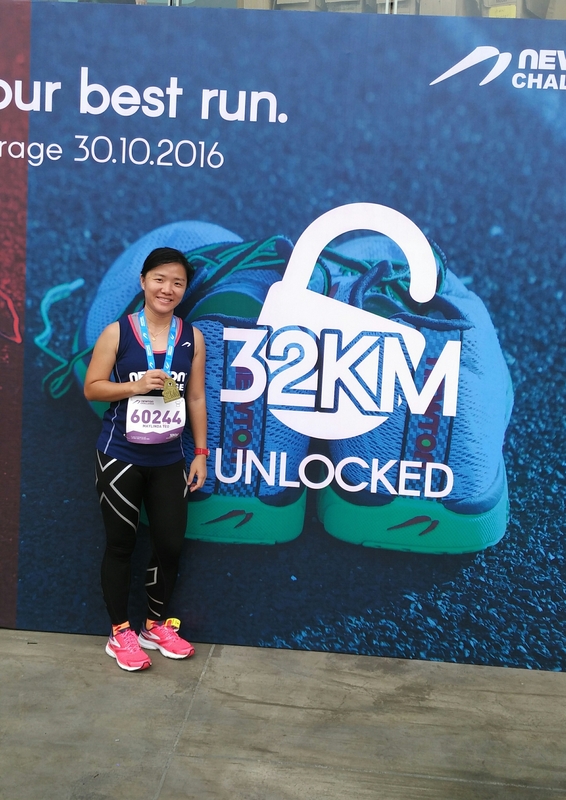 Initially I thought I could beat my PB during the 2016 Great Eastern Women’s Run [21.1KM] but I was down with cough and flu after the Newton Challenge Run [32KM]. At GEWR, I was able to run together with the 02:30 pacers until around 5KM and I needed to pee. After queuing for the portaloo and finally done, I lost the pacers forever. My nose was running like a tap and my throat was so horribly dry and irritated. I wasn’t feeling very well on that day and thus, the whole race was quite a torture for me. My husband advised me not to run, but I insisted. Glad that I still managed to complete it in 02:57 but I had terrible backache after that for 1 week as I have not fully recovered from the gruelling newton challenge run and went to run another 21.1KM after just 2 weeks. I am not elite runner and I guess my body is unable to cope with this intensive activity yet. I only started running in June 2014 (age: 33) and since then, I have been running regularly mostly alone at nearby park. My first few runs were quite tough for me as I had never really run any distances before. Started to run around 2 to 3KM and increased the distance gradually to 4KM, then 5KM and so on. 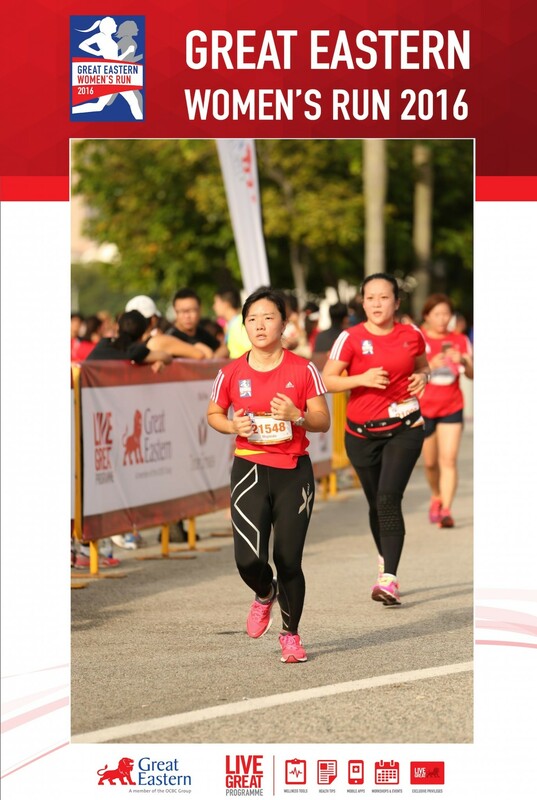 My first ever 10KM run was in Batam with my sister and brother during CNY 2015. My first Half Marathon was 2XU Compression Run 2015 in August. I actually signed up because my siblings asked me to join them even though I was still hesitant about my ability to run a half marathon. Well, as unpredictable as it was, I eventually ran the race alone on 2 August 2015 because my brother had a leg injury and needed an operation and my sister was sick. So they both had to miss the run. So I braced myself, woke up at 3am to join the shuttle bus to the race venue. First race being first race, it was tough and I completed it in 03:02. I was so proud of myself when I crossed the finish line but my legs were so painful I had difficulty walking to the MRT station after that. While walking, my tummy began to rumble and I knew I had to go for breakfast before I go home. Saw Mcdonalds at Raffles City and went to order my breakfast. It was very crowded and I had to wait for quite sometime for my food to be ready and I started to feel really nauseous, I almost puked. I squatted down immediately as I couldn’t stand anymore. Luckily my food was ready within minutes and I managed to bring my food to the outside table. I felt so much better immediately after I gobbled down that sausage mcmuffin! I figured that it was my hunger that caused my nausea. After that experience, I was looking forward to run more half marathons. 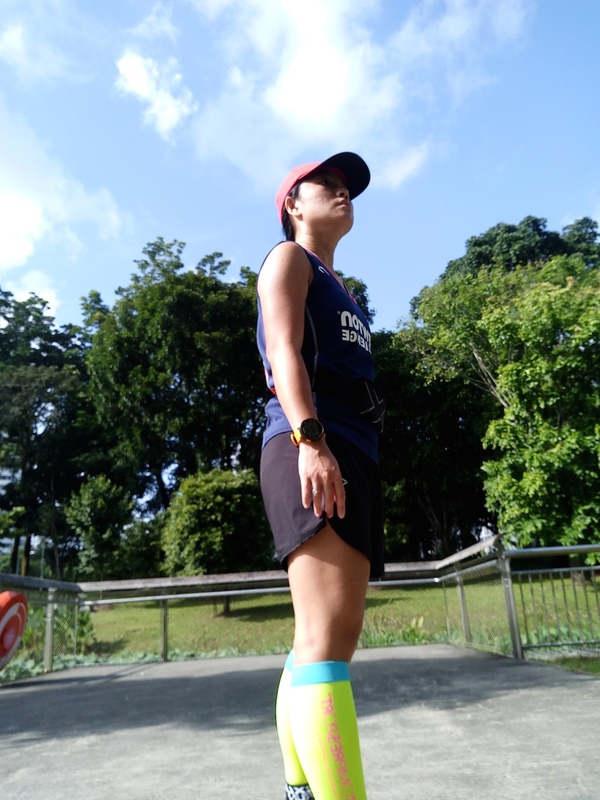 I have since ran for 2XU Compression Run 2016 [21.1KM], CSC Run by the Bay [21.1KM], Newton Challenge 2016 [32KM], Great Eastern Women’s Run 2016 [21.1KM]. 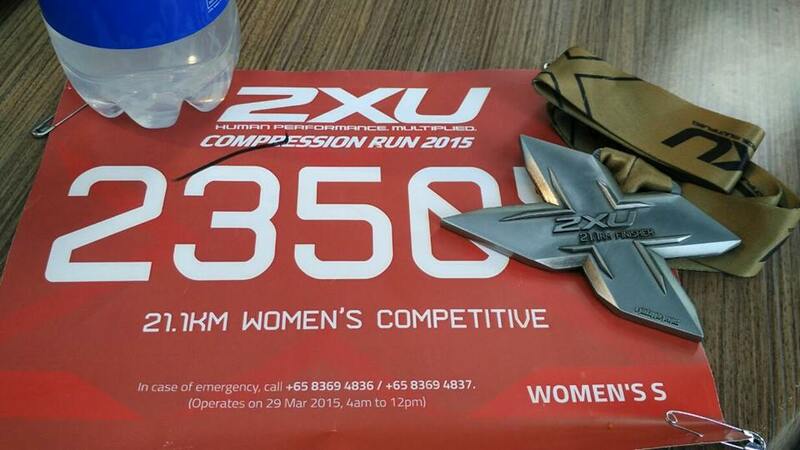 My next race will be 2XU Compression Run 2017 [21.1KM] and Income Eco Run 2017 [21.1KM]. Might attempt full marathon once I feel I am ready and have sufficient training.